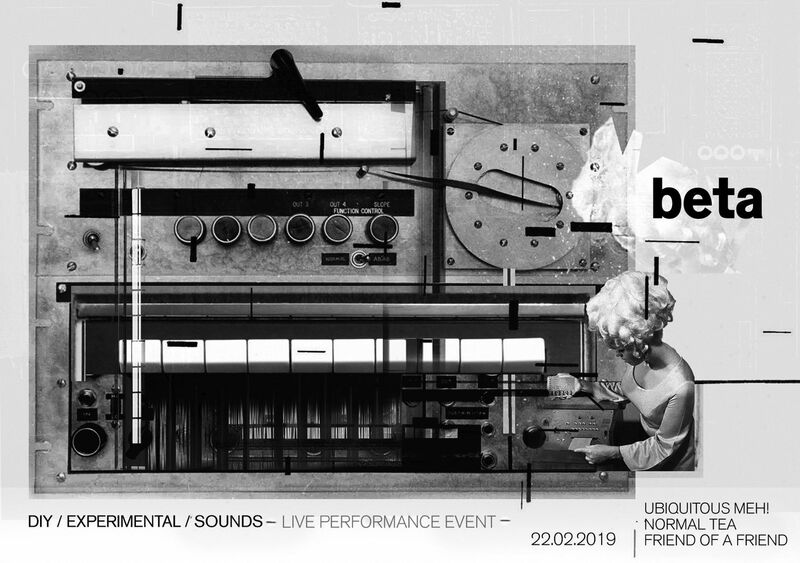 KARST and Electric Knife presents BETA, the second in our series of experimental sound concerts. FRIEND OF A FRIEND is the solo project of Alastair D. Smith. Until recently, Smith was playing in Nottingham outfits Society and Blunt Mountains, and had performed with the likes of Mary Ocher and Antoni Maiowi. He has since relocated back to the South West and has been left to his own devices. FOAF's music assembles elements of the organic and the artificial - analogue synth drones meet stringed instruments, found sounds, and digital pulses. The sources coalesce to form an end result that feels like the past and the future bleeding into the present. Save / follow Ubiquitous Meh!